Famed for being a sports fan's haven, coupled with a fully stocked bar, great food and an electric atmosphere, Hugo's Pub has become a firm favourite among the socially active. Tal-Caccu Social Club specialises in horsemeat and fenkati (rabbit dishes), as well as other delicious Maltese traditional food. Our varied menu included several different kinds of appetisers and beer offers. We also offer 'Happy Nights' and beer offers, as well as live sports on two big screens and 11 TV screens. Group bookings are accepted. Tal-Caccu Social Club is fully air-conditioned and environmentally friendly. For more information , Visit our Facebook Page. Famed for its ultra-stylish decor, impeccable service, mouth-watering classic contemporary cocktails, uniquely inspired Mediterranean cuisine, live DJ's and performances by local and international artists, Hugo's Terrace also provides its clientele with luxurious VIP sofa seating, 2 fully stocked bars, a dance floor and free wi-fi. Reflections Sports Club & Grill is a cosy Sports Pub which serves dinner and pub snacks together with the best drink service and quality in town. It shows a large variety of sports that many love, especially football, rugby and snooker. One can entertain himself or herself by playing pool or darts, table soccer and air hockey while watching any game on our selection of 10 screens and enjoying a drink at the same instance. We offer 8 types of beers on draught in a pre-cooled glass and all types of wines and spirits, cocktails, shooters, beer and ciders. One can choose where to stay, whether in a quite restaurant room, in the pub, in the normal dining area or also in the outside balcony enjoying the view on St Maria Estate. So whether you want a peaceful evening or a fun time with your favourite companions, Reflections Sports Club & Grill is the place that you would want to go to. We make use of vouchers and discount codes so that it all can be enjoyed at excellent prices. A special occasion is a time to celebrate! For all kind of occasions, such as birthdays, hens parties, bachelor parties, Dimples Bar is the place for you! We also serve all kinds of Maltese food - fenkati, horse meat, suckling pig - as well as pizzas and appetizers from our well-stocked bar. We are open from 09.30 am till late. We are open also in the evenings during the weekend. One can find a large variety of wine and a fully stocked bar, offering food items such as cheese and meat platters, sandwiches and nibbles. Just off the Bugibba Square, Rookies is synonymous with both Live Sport and Live Music among locals and foreign alike. Rookies has become - The Event Bar. Every Friday and Saturday Night & Public Holiday Eves, Rookies hosts Live music events, making Rookies the PLACE to BE every weekend, where Bands of ALL musical backgrounds perform. You can watch Any Sport (up to 7 Different events at the Same Time) on 4 Big Screens and 12 TVs, in 4 different commentaries. Whatever You Want - We Got It – World Cup, Super Bowl, Boxing - Rookies is probably the Number 1 Sports Bar on the Island. Rookies caters for Birthdays, Stag Nights, Boat Parties, Staff Parties, even Weddings! We also host various theme parties monthly. 120 Bar Easy to Find, Hard to Leave! Yet another alluring stop for your pleasure. Come in for a round or two and sip drink specialities from a selection of fruit cocktails, wines from around the world, draft beers or your classic drink while listening to the music sounds or watching your favourite sporting event on flat screens. Live music on Saturdays. Melita Gardens Salina, the latest addition to the AvantGarde portfolio, meets the demand for good food and refreshments at the Salina National Park, a family-oriented leisure landmark. Pizzas, baguettes, savoury snacks, cakes, gateaus, a selection of beverages, and everything you need to have a great time – something our customers are familiar with, and have come to expect. Melita Gardens Salina is perfectly suited for family outings – it is an open-air venue loved by adults and children alike. Parents will enjoy some respite from the daily grind, and kids will benefit from some outdoor fun. The rest of us are left with a premier chill-out location, in the usual Melita mould. Offering breath taking views of the beach and surroundings skyline, coupled with inside and outside dining options, VIP sofa's and fully stocked bar, The Rooftop on Hugo's Terrace is seasonal and open to the public between May and October. Promising complete sophistication and comfort, Rocco's Whiskey Lounge not only serves up and ultimate selection of fine whiskies, but also a wide choice of premium spirits, wines and beers. You can also check out our weekly special offers. Ta' Cardona Wine Bar is situated in Qormi, the city famous for the best quality of traditional Maltese bread. This new wine bar is found in the main square in front of St. George's Parish Church. The place where today one finds Ta' Cardona Wine Bar dates back to the 18th century and was designed in such a way as to offer a relaxed, warm and quiet atmosphere. Ta’ Cardona Wine Bar offers a cosy and quiet environment where people can enjoy the company of each other over a glass of fine local or foreign wine. Moreover, the menu of Ta’ Cardona boasts of mouth-watering platters, delicious snacks, fresh homemade salads and a variety of traditional ftajjar at extremely affordable prices. We also do private functions. Il-Kastell Wine & Dine boasts a varied menu with pizzas, platters, dips and ftiras which compliment our variety of delectable wines. Our cellars are stocked with labels from various regions including Italy, Spain, Germany, Sicily, France and Malta. We also have a wide selection of New World wines such as South African, Australian, Chilean, Argentinian and American among others. We also offer delicious homemade cakes and Italian coffee. Il-Kastell Wine & Dine is centrally located in Tarxien, opposite the small church of St. Bartholomew. Il-Kastell is actually composed of 2 buildings - the historic one is where you will find Il-Kastell a fine dining wine bar and restaurant with a lounge, meeting rooms and 2 lovely courtyards. The second building houses The Bowyer House hotel. We have a combined offer with The Bowyer House to include a romantic evening and a stay in one of their fine rooms. For further information about this offer please contact us. Il-Kastell Wine & Dine has a unique atmosphere and is an ideal venue for parties, reunions or get together between friends. Tailor-made menus will be gladly accommodated. We are available to cater for all kinds of groups and events Please get in touch for more information. Opening Hours – to check closing time We are open Monday through Sunday 1930 till close, except for Tuesday the restaurant is closed. 1640 Wine Room is situiated in the heart of Dingli, a few meters down from the Dingli Police Station. The wine bar forms part of an old tenant house built in 1640. It is now converted into a beautiful wine bar with unique features and old world charm. The interior decoration is modern creating a pleasant contrast with the rest of the original building. Our Meny include mouth watering Traditional Maltese dishes, Platters, Pizza and Pasta to complement our variety of wine. Private functions for large groups can be organized at request. Sensations Wine Bar is an easily accessible venue with five separate rooms set on two floors decorated with a classy and contemporary finish that caters for anyone who is after a mellow evening of socializing. Some rooms have been furnished with sofas and our chairs have been specifically designed to maximize comfort and relaxation. The building is fully airconditioned. We specialize and offer an extensive list of meticulously chosen wines to enjoy with our freshly prepared abundant and scrumptious food. In addition, we also have a cocktail menu with a good selection of delicious cocktails and other alcoholic beverages. Sensations Wine Bar is a great place to chill out after a day’s work or as a weekend meeting venue for friends. We offer an Intimate atmosphere and candle-lit tables for two make this venue ideal also for a romantic evening.The bar is highly popular for private functions tailored to clients’ requirements. We welcome any special requests and we work around the customers to fulfill their wishes. In addition, if you wish to organize a party at home without the hassle of preparing the food for your guests, you can contact us to get a quote based on your budget. We offer a wide selection of finger food which you can choose from. You can arrange the menu however you wish, at whichever quantity you wish and at the budget you have in mind. The food will be prepared fresh to be picked up just before you need it so you and your guests will enjoy it how it should be. We show live sports and events and parking is not a problem. Camarata is a two story gastro bar with a capacity of 100 covers standing and 40 seated. It is open for lunch for a light snack, whilst for dinner the tavern offers a fully stocked bar and a bar menu comprising of gourmet dishes and platters. The venue also offers a large array of tailor made menus for standing functions and events. Mezzanin is part of Melita Gardens. It is a specialised wine bar serving local and foreign wines, as well as a full menu including various platters. Mezzanin is surrounded by the beautiful gardens of Melita, making it the perfect location for a night out with family or friends to celebrate any occasion or simply to unwind after a busy day. Open every day including Mondays and now also hosting private functions. Started up in 2009, Powerhouse Limited now has a successful operating track record of almost four years. Powerhouse is a company with novel approaches to technical solutions with management having decades of experience within the events industry as a whole. Powerhouse Ltd offers a range of products and services including digital conference language systems, trussing and ground support system, high-resolution projections, intelligent stage lighting equipment, high-power lasers, multimedia show software and decorative and light furniture. Mark Vella is the Director of Powerhouse LTD and is also a shareholder and the managing director of Synergix Ltd – a company specialising in the provision of professional entertainment and event organisation. Powerhouse deals with the technical challenges and offers insightful knowhow into the technological needs of the conference and event industry. It provides winning, hi-tech solutions for an ever-expanding portfolio of international conferences, gala events, theatre productions and specialised made-to-order events. During these past years, Powerhouse Ltd has been entrusted with various high profile events. Most of its clients are global international companies that forward their requests regarding events and the setting up of equipment for conferences and corporate events to the Director of Powerhouse Ltd. The professionalism of Powerhouse and the use of high-quality equipment is also reflected in the former being approached by ‘The AV Alliance” (a global network of high-profile audiovisual companies) to be its esteemed and sole member from the Maltese Islands. Powerhouse was chosen amongst all audiovisual companies in Malta and it can be said that it is the leading company in this respective sector. Moreover, this membership with AV Alliance further developed Powerhouse’s list of high profile clients. 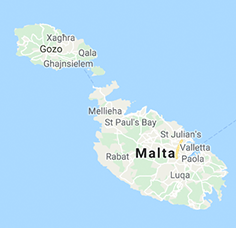 Whenever one of its members has any clients coming to Malta, the said clients are referred to Powerhouse, especially when it comes to renting of audio-visual equipment, constructing of stage sets, stage backdrops and design. This was reflected in the annual conference held by Allianz Insurance in May and June 2012, where Powerhouse was entrusted with the manufacturing of the stage set and layout of the conference. De Carmen’s is a new establishment with an innovative concept located in Valletta Road, Luqa with lots of parking space for every one. In the De Carmen’s Complex you will find a restaurant, wine bar, lounge room and steak house. Welcome to De Carmens Wine Bar. De Carmen’s Wine Bar provides the perfect setting for your night out, or perhaps even for your next private event. Accommodating up to 60 guests, the wine bar is housed adjacent to the restaurant under unique 18th century arches. Accompanying our vast range of wines you will find an extensive choice of tasty platters, dips and other light menu items which may be served either in the bar area or on the more comfortable tables and chairs around the bar. While at DeCarmen’s, our sommelier can assist you in choosing the perfect wine to complement your platter. Our extensive wine list includes renowned local as well as foreign wines to make your platter extra special. We look forward to meet you at our truly unique setting and we guarantee a pleasant night out! Levels Wine Bar is a smart and contemporary establishment in the heart of Siggiewi. Built before the 18th century, it was completely renovated and redecorated, creating an exquisitely warm atmosphere throughout the two-level building. The wine bar is all about taste adventure and the menu reflects this with wine-friendly selections that will satisfy the palate. Levels offers a superb selection of wines from the best winemakers around the world, together with a premium selection of tempting matching food. Whether with a loved one, friend or solo, Levels offers a variety of special wine and dine experiences, which include a lovely terrace for a different atmosphere. And we welcome you to Malachy's Pub in Marsascala Malta. Established in 1982 as Lemon’n’Lime which was/is one of Malta's top Pubs in the south, only a few meters from the Marsascala marina provides a friendly atmosphere for all. Not only does Malachy's have a great atmosphere, we can also offer you good homemade food to go with your pint or excellent maltese wine. Just get some food of the menu and sit outside and enjoy the beautiful harbour view. KuDéTa, the Lobby Lounge of Le Méridien St Julians Hotel & Spa in Malta, is one of the most fashionable bars in Malta, with a trendy touch and a contemporary flair to meet up with friends in St Julians. The terrace, with stunning views over Balluta Bay, underlines the intense yet warm features of this contemporary bar. The KuDéTa Lounge & Bar boasts a daily sparkling hour from 18:30 till 20:00, where you benefit from a 50% discount on your drinks bill! This is an amazing way to indulge in a refreshing drink prior to dinner or to unwind with friends after work. KuDéTa also offers an extensive menu of breakfast items, salads, sandwiches, wholesome snacks, pizza and grills. In winter, you may indulge in a comforting dining experience, with a sumptuous selection of sandwiches, wraps and cakes, rinsed down by a flavoured tea or coffee of your choice! This ultra-modern venue offers 2 fully stocked bars and inside and outside seating, which transforms into a night club from 10pm onward featuring top local and international DJ's.